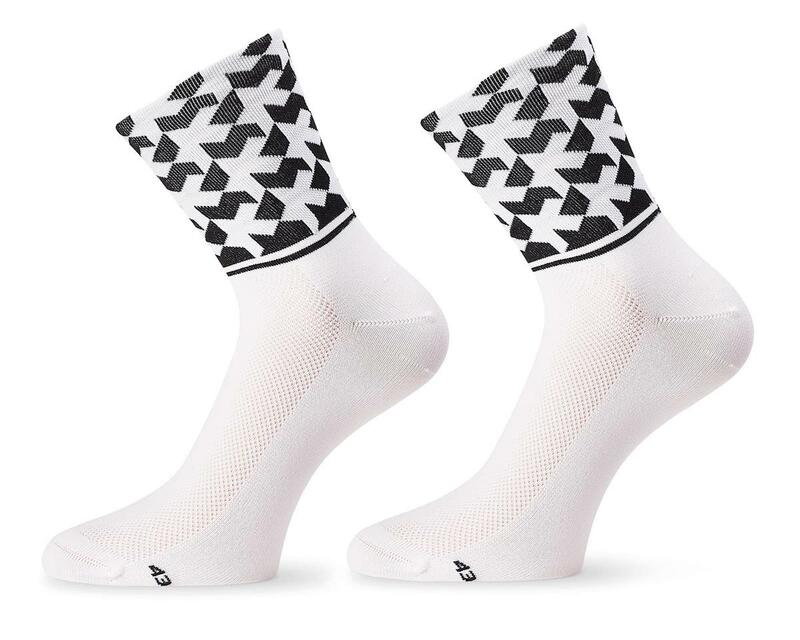 The Assos Monogram socks are lightweight summer socks featuring a classic length cut twinned with a striking geometric pattern. Made from a comfortable blend of Polypropylene, Elastane, and Polyamide, providing breathability and improved airflow. Left and right specific for a perfect fit. Keep your feet fresh and cool. Note: Leave the overshoes off as these socks work best when used alone.